Horses need to be mentally and physically stimulated to maintain a happy and healthy lifestyle. Horses today spend much of their time alone indoors or in small paddocks with just one or two companions. With enough exercise and time spent with human companions, this may be enough mental and physical stimulation for some horses. Other horses; however, especially young ones, require extra stimulation to fight off boredom. Many unhealthy activities and stable vices, such as cribbing or wood chewing, can develop as a symptom of boredom. To help your horses combat boredom, you can try providing them with toys. Finding the perfect toy for your horse may take some trial and error, but luckily, you can never have too many. The right toy will be mentally stimulating, physically engaging and most importantly, safe. Outdoor toys can often be things you already have around your barn that can be safely chased, kicked, pushed, tossed around or picked up and carried by your horse. Things like rubber food tubs, buckets, large traffic cones, and plastic (not metal) barrels are great toys for outdoor areas. If you give your horse a plastic barrel to play with, be sure that both ends are firmly closed off. You can also purchase toys specifically made for equine use, like a durable, horse-sized ball that he can chase and bite at. Rubber balls with handles are fun to fling around the pasture, and your horse will delight in the unpredictable bounce and motion. 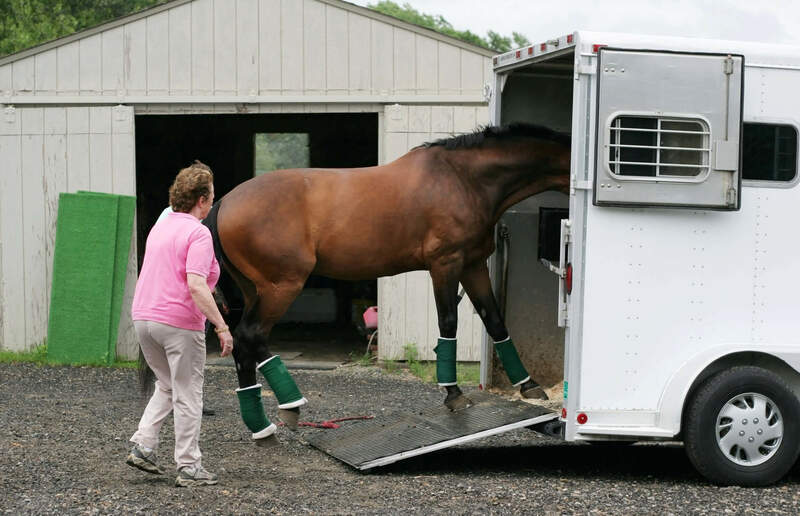 For a horse who spends a lot of time in a box stall, especially a horse who is recovering from an injury and requiring stall rest, there are plenty of simple toy options. A ball on a rope (similar to a tetherball) is fun for horses to push and swing around their stall. Be sure that the ball is hung high, around wither-height, so your horse won’t get a leg caught in the rope. An empty plastic gallon milk jug attached to a rope and hung in the stall makes for an exciting and inexpensive swinging toy for your horse. It’s fun for your horse to twirl or bash around and make noise with. You can even cut holes in the sides of the jug and put carrots inside for extra fun! Some horses enjoy playing with stuffed animals. You can often find large, slightly used stuffed animals at garage sales for very cheap. 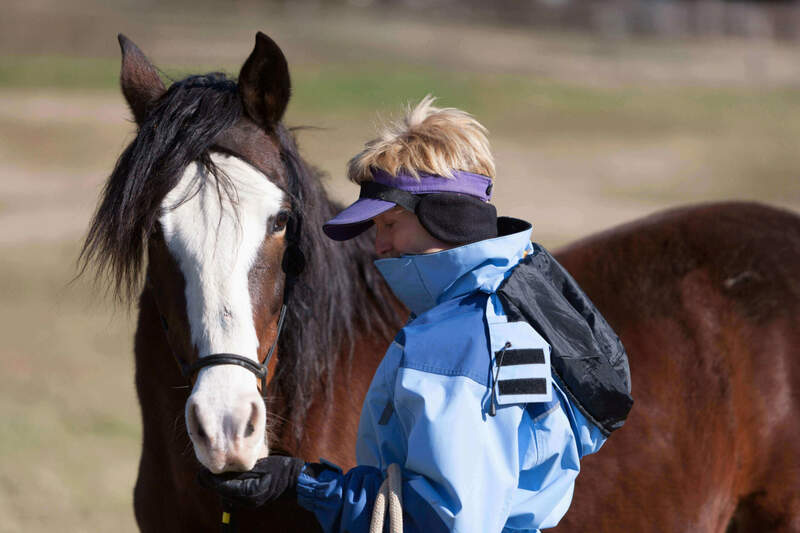 They’re fun for your horse to shake or toss around, and being soft, they won’t hurt him or things in his environment. Toys that dispense food and treats force your horse to work for his dinner. Figuring out how to get his favorite food out of his favorite toy will be mentally stimulating, physically engaging and delicious! There are several treat-dispensing toys on the market that you can try. Some are hexagonal-type balls that can be moved and kicked every which way, and others are more elongated that only roll back-and-forth. When your horse rolls or shoves it, the grain or treats will dribble out of the hole for him. Be careful with treat-dispensing toys if your horse is on sandy soil or tends to accidentally eat the bedding from his stall, as both can cause digestive disturbances. Also, remember that an overweight or insulin-resistant horse doesn’t need the extra calories from a treat-dispensing toy. There are plenty of ways to fight boredom other than with traditional toys. For example, many horses enjoy a frozen popsicle treat in warm weather. Freeze water flavored with apple juice or peppermint candies in a plastic bowl, then empty it into your horse’s feed bucket. He will love chewing and licking this refreshing treat on a hot day. You can also put chunks of apples or carrots in his water bucket so he can bob for treats! Many horses also enjoy listening to music. Play a variety of music for your horse, paying attention to what music he seems to like best. Then, make him a playlist of his favorite tunes to brighten up his day. A variety of toys and activities will do wonders for your horse’s physical and emotional health. Consider purchasing or making a toy for your horse. He will enjoy the stimulation and you will enjoy watching him frolic and play!